A handmade carpet enhances the look of space and spruces it up in such a manner that gives a unique look to the entire space. Have you had the same interior style for years and want to change? Here are some great ways to give your home a new look by placing handmade carpet. A handmade area rug is the most important thing which adds up to the beauty of a room. Each room has a special interior type like traditional or modern. Every room required a different type of rug which if placed properly then it will make a room feel like heaven. 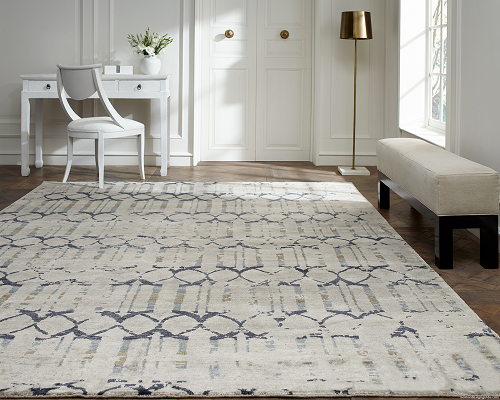 If you place a modern design rug in a traditional room or a traditional carpet in the modern room then it will take away the charm and look of your room. So this is very important to select a carpet according to the interior designs. After deciding carpet design, measure the space where you want to put your rug. When you are going to use a carpet as a doormat then the width of your carpet should be according to the door space and for the material, you can select cotton and wool. Please avoid silk carpet because this is a high traffic area and silk carpets are expensive. You can use a dark color and fewer designs pattern carpet. Round shaped rug always considers as decorative carpet and really suitable for living space. You can place it exactly at the center of the living room and can keep rest of space empty. If you put furniture at the round carpet border, it will look gorgeous. 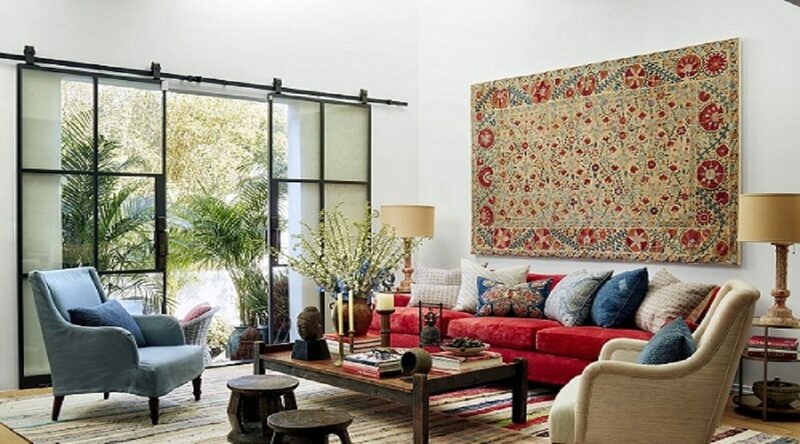 You can use bright colors with bold motifs pattern handmade carpets. 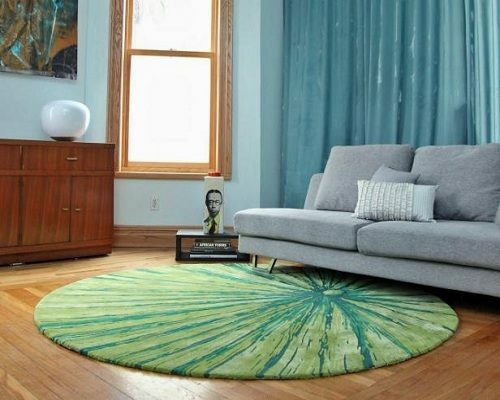 Rugs are the versatile piece so you can use it in different ways. 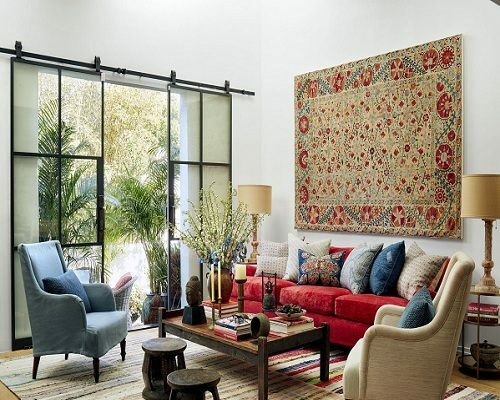 Hanging rug on a wall can give the wall a wonderful look. If you hang your carpet without any support, it can fall down. So before hanging your carpet, you have to add casing. The casing is a long banded strip of fabric which will secure the rod when the rug is mounted. You can use silk carpet with an ancient design like a representation of war, Tree of life design or sometimes related to forest design. You can use a long carpet for a staircase. Before selecting a carpet, you must know the total length of stair, length, and width of individual satire steps.